Literally, it's just a stream of zeros and ones. Hello, upper East side! I kid. What shows are college students watching nowadays anyways? Whatever it is they're spending time on, they should spend a few minutes reading this post if they want a chance at a job they want. Welcome to the 2015 Cebuano Student's Guide to Your First Resume! I was a college student once and I had to make a resume, too, to apply for an internship. It was difficult the first time but with the help of my sister who worked in Human Resources (who did recruiting back then), I cleaned up my CV pretty well. I have started going through intern applicants recently and I am weirded out with what I'm frequently seeing so let me do our future graduates a favor by giving you tips on your first resume. 1. Ask yourself one question: is it relevant? In school, there are a couple of times that you need to do different group projects and your crew may be different in each. Think of the time you thought about who to include in your team or which team you are going to join. What traits were you looking for? Or did you always go with friends? This is basically the idea when a company is hiring. They need a good fit for their team and not always the friends. When you put information down on your resume, ask yourself this question: does this information improve my chance of appearing as a good fit for their team? If you answer no to this question, best to put that chunk of data out of your resume and save it for the interview only when it is asked for or if it will seem relevant then. I am putting this as rule number one as this is the most important of all rules and when in doubt of all the next rules below, always refer back to this rule. Now, if you don't have much to put in the resume to appear desirable for hiring, I suggest you start working on that. Side projects. Weekend coding. Whatever. Get to work before you actually have to find work. Although it's always the content that matters, a pleasant looking resume is a plus. The company knows you've taken the effort to prepare it well. It's like going to your first interview: it's your skills that matter but looking presentable is a plus. The layout in the template will also guide you in how to arrange information and which ones to put in. Win-win. By now, I'm sure you know how to search on the web. 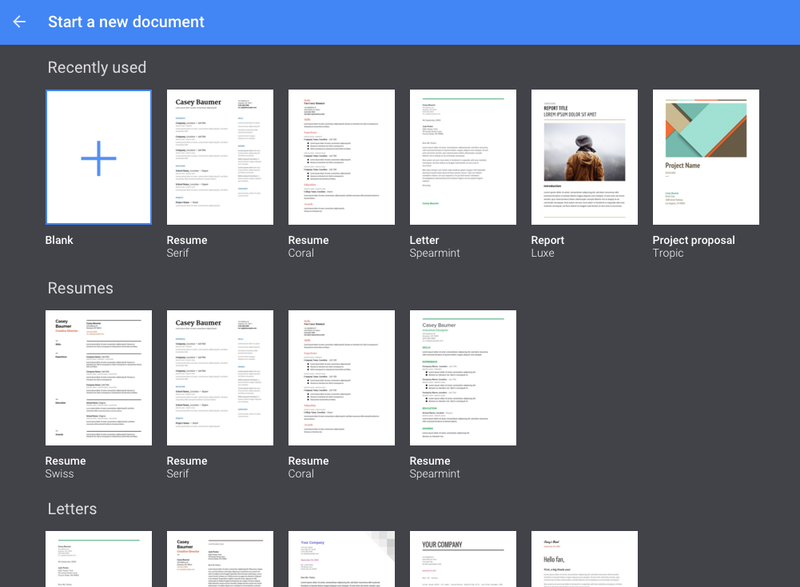 There are tons of results for resume templates on the internet but try not to go overboard. Save ink, save paper, save time. Companies usually collect resumes via email but some of us still print it anyway for reference. Make it look good but not waste time by distracting the onlooker. We don't need to know you that well. Well, not right now. We're also after your skills, not your political alignment. I haven't seen that though but you get what I mean. Does the personal information break tip no. 1? Think again. Do you think the company needs to know about your parents? Do you think they would calculate your BMI from the height and weight information on your resume? No. Shave that off your CV. I think this is an artifact of the way Filipinos applied to work before: using the biodata template. Those forms had family information in it, addresses, spouses, etc. We don't need that anymore. It's 2015 and we need relevant information. Now. Companies don't even need to see your photo. That 2" x 2" photograph is just wasting space and ink. And bytes! This is also bad practice privacy-wise. If you put too much of this information on those pieces of paper and they somehow end up in the wrong hands, you could fall victim to identity theft. And what you're currently working on. Add a short paragraph about it, too. We want to know how you're applying what you learned. We will try to sense your commitment in your projects. Weekend projects are bonus points! Sure, perfecting that school project is awesome but if you're working on extra-curricular projects, be it technical or not, list it down. This will give you an edge over students who don't have any. Or forgot to list it down so don't forget to mention your side projects! Do you have an online code repository or contributed to an open source project? List it down. We think kids who party and hang out are cool but we like kids who make good use of their time. And if you're both, that's even cooler than Frieza. 5. What are you into? Interests. What kind of technology/programming catches your attention? Are you self studying something new you like? I want to hire somebody who take their own initiative to learn new stuff. Doesn't even have to be technology related. As long as it is useful or it revolves around a passion of yours. Baking? Music? Volunteering? Professional drinking? Forget the last one. In all seriousness (because we're sober), if you contributed to any project, list it down. Say you helped build a few pages or wrote content for some local non-profit organization, we'd like to know. That's plus points for you. No, not the EDM Festival last month or the burger eating contest you won. Wait, include the latter actually. Again, refer to rule number one. Did you attend a tech meetup? What about a seminar or conference? Any nice workshop you went to recently? List it down, place the date, add a shortened link, and talk about it in 1-2 sentences. Or any online document storage you prefer so you can embed a public copy of your CV online like below or share it as a link like this instead of attaching as an email. Having it as a link to an online document also means that they won't see the embarassing spelling mistake you made in the link you shared months ago because you have already corrected it weeks ago and they see the updated version with the new awesome conference you attended last week. See where I'm going with this? ...that I don't have enough to say about to give them their own number but are also good to know nonetheless. Please put spaces between your phone digits. 0911 000 2233 instead of 09110002233. The latter format makes people cross-eyed and puts more dogs in animal rescue organizations. Put your current GPA (Grade Point Average) using all the currently released grades you have. We will look into details later in the future but knowing the average gives us a sort of idea what kind of student you are in school. If you have new grades, you can recalculate and update your online document anyway. The "objectives" portion is no longer necessary. I think we know why we got your resume. Don't use Yahoo Mail. Or Hotmail. Or AOL. Gmail is good. Using your custom domain is a big bonus because that means you've taken time to research that and work to pay for it. So far I haven't seen an embarrassing email address yet so keep that up. Don't use something like i.love.isis@wehatensa.gov. That's it. If you take everything into consideration above especially rule number 1, future potential employers will be less disappointed going through your resume. Best of luck, future graduates! Downboy Bubblegum Sinulog 2015 Weekend! Share book reviews and ratings with Roger, and even join a book club on Goodreads.